Independent studio Mommy’s Best Games today announced that the 2D arcade puzzle game Pig Eat Ball is coming to Nintendo Switch in Q3 2019. Pig Eat Ball is a delirious pixel-art 2D arcade puzzle-maze game in which you have to eat and barf to get through the end of each level. The game contains 214 handmade levels, 10+ humongous bosses, 20+ interconnected worlds, and 38 power-ups. 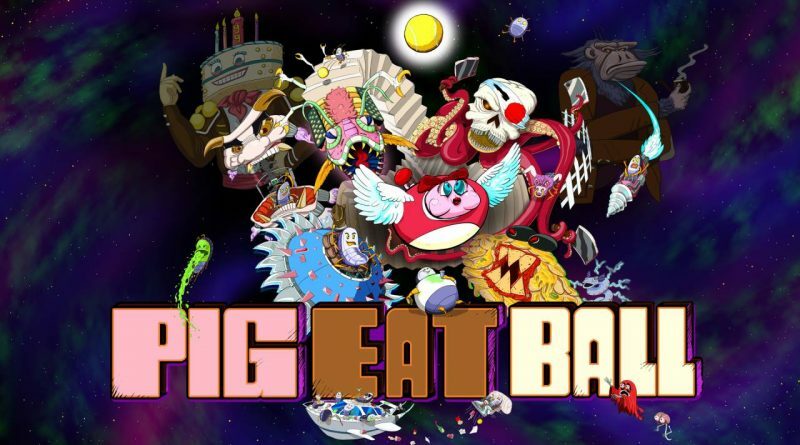 With a score of 83 on Metacritic and overwhelmingly positive reviews on Steam, Pig Eat Ball was originally launched on PC, Mac and Linux in September 2018. The new version on Nintendo Switch will challenge new players willing to discover the game’s wacky stages and crazy gameplay. Twisted arcade gameplay – get bigger as you eat and barf to squeeze down to size. Explore intricate worlds – travel to five completely unique areas. Hand-crafted challenge – non-procedural levels. Massive bosses – use your brain, your skills, and your mouth to beat nearly a dozen of them. One-of-a kind powerups – dozens of disguises with special abilities. Open-ended antics – barf on them, bump them, torch them, or knock them into open space. Hours of adventure – the main story is 8-12 hours alone but you’ll have to complete the challenge section too. Wild characters – speak with tens of aliens in your journey. Manic multiplayer mayhem – play with up to four fellows in multiplayer local mode. Online leaderboards – each action level lets you compete for the fastest time with the world. Online level sharing – craft your own stages and share them with your friends or the world.